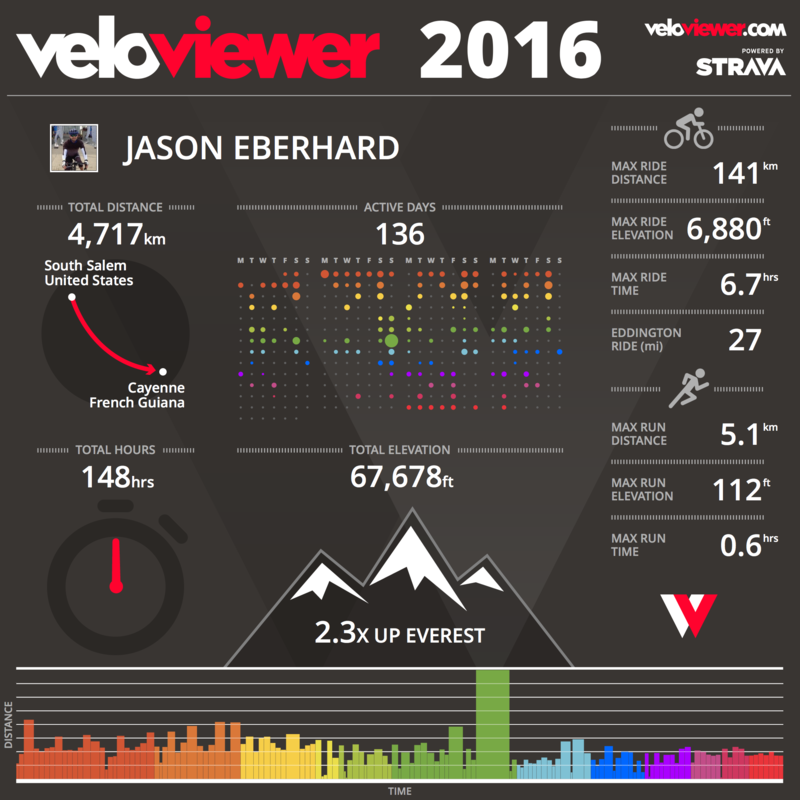 2016 was a difficult year for me on and off the bike. My cycling didn’t go exactly as planned and much of that was due to my fiancee’s auto accident and resulting (slow) recovery which is still a work in progress. I would have like to spend more time in the saddle but family comes first and there were a quite a few days where I was just too mentally exhausted to even get on the bike even thought I had the time. The most disappointing thing to me was missing my mileage goal, but there are more important things in life than a number. I’m hoping 2017 brings us some good things, on and off the bike, the biggest of which is our wedding in April that we are both excited for. With that I leave you with my 2016 stats and you won’t see a post again from me until next year. You said it, it’s just a number. Most rode less than that. Some rode more. A few rode a lot more. What really matters is being happy with who we are. As long as you are, meh on the miles. There’s always this year!